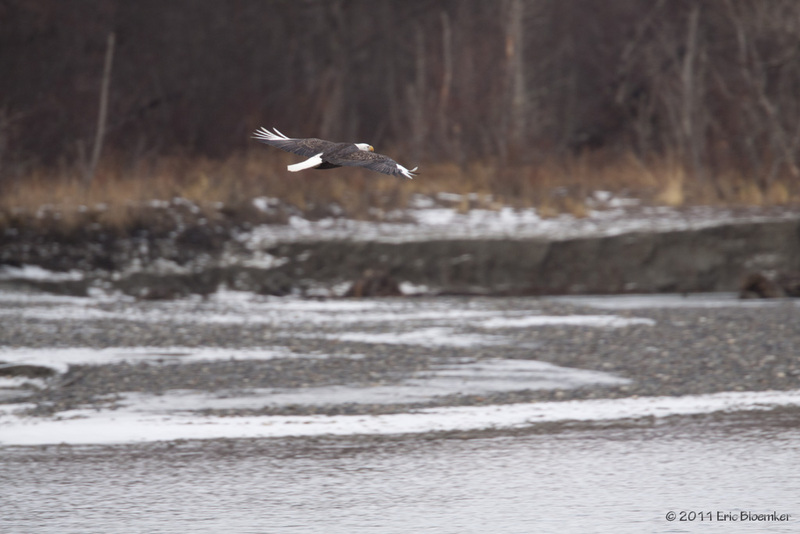 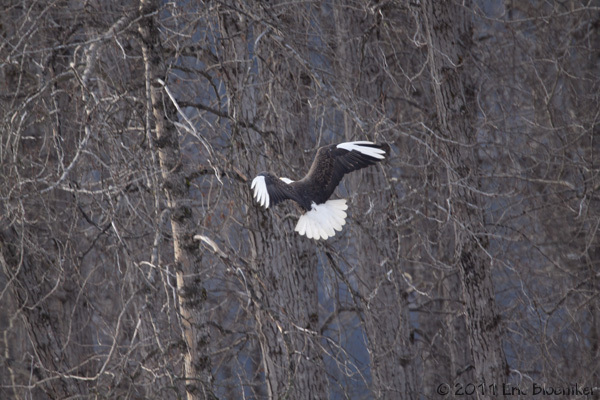 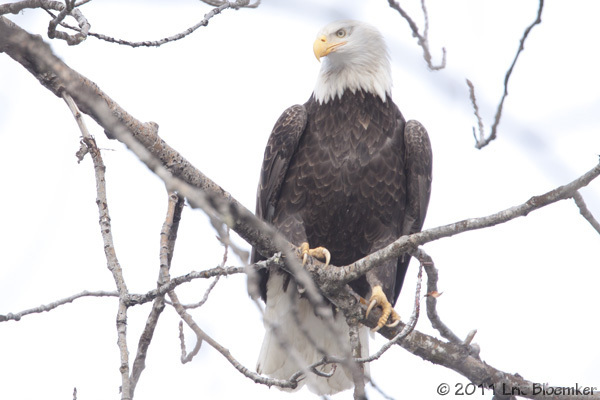 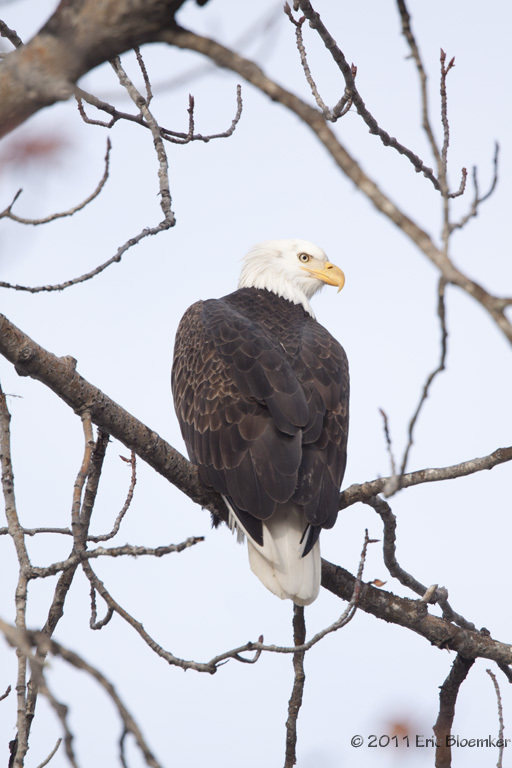 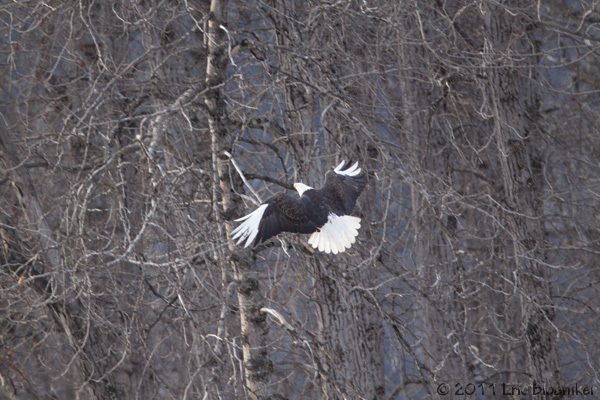 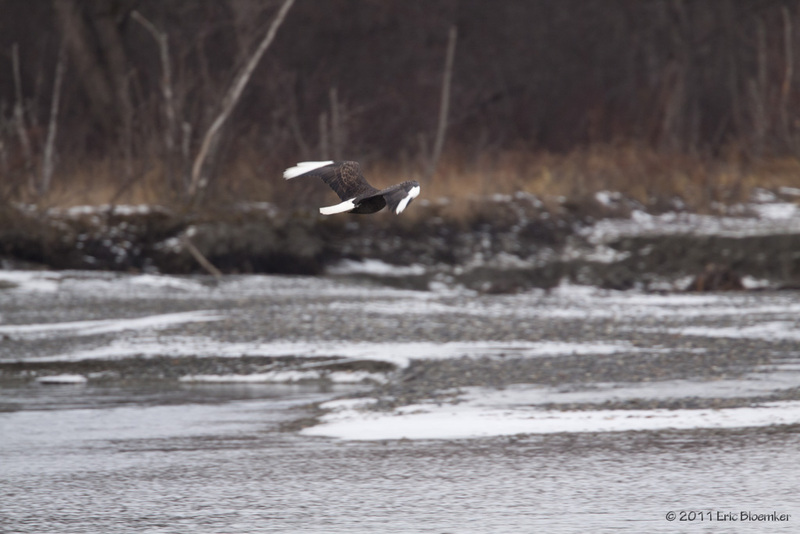 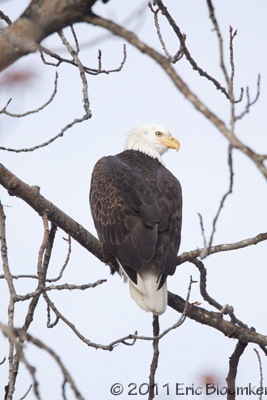 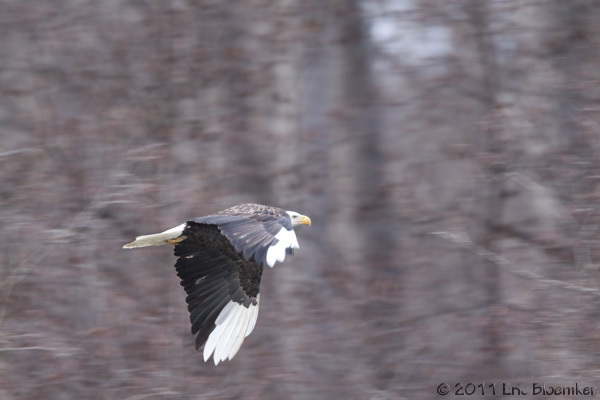 First spotted in 2009, an eagle with white wingtips and white talon nails comes to Haines. 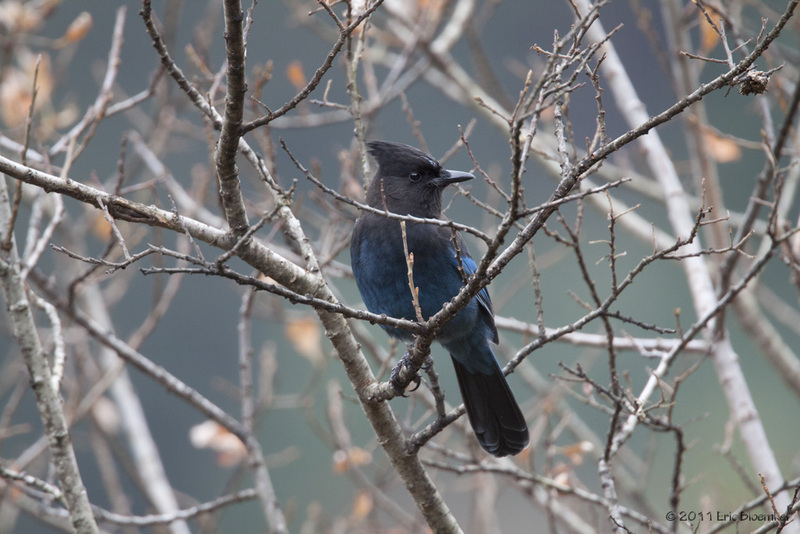 A most beautiful bird. 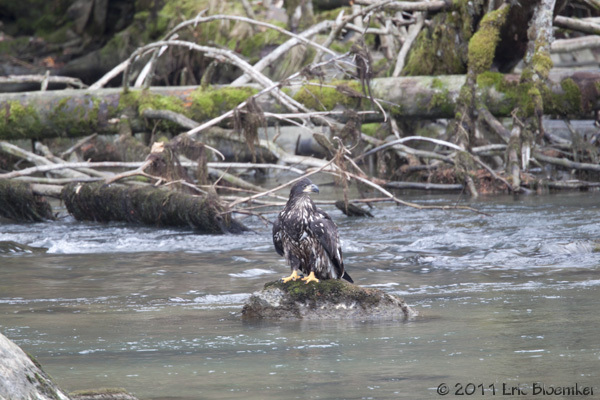 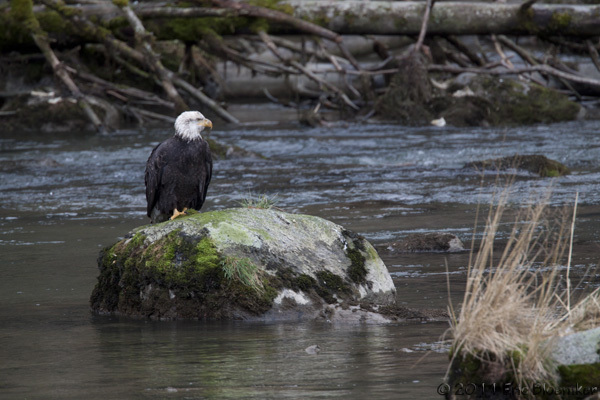 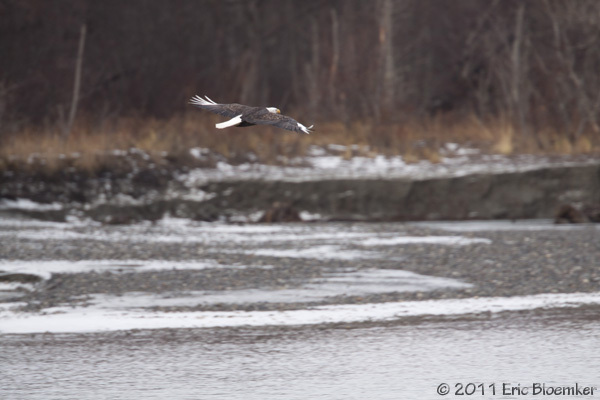 In 2011, the bird spent its days on the Chilkat, and I only got to see it briefly one day.